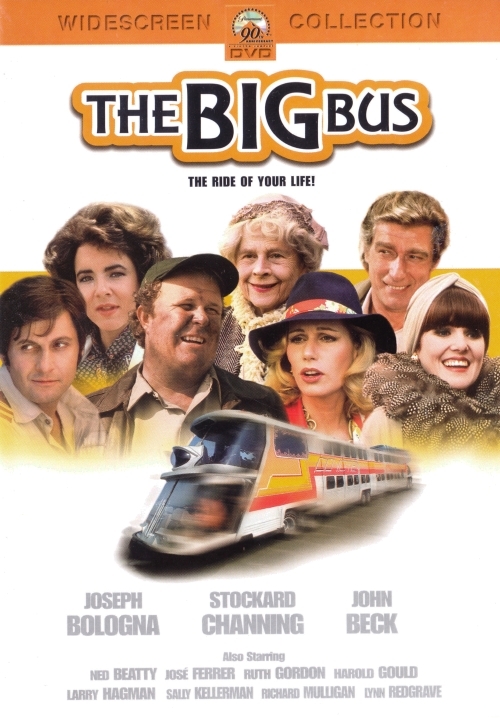 For anyone who's wallowed in the inanities of 1970s disaster movies, The Big Bus is not only witty but downright endearing. Instead of an endangered airliner or a capsized cruise ship, this dippily deadpan parody features a block-long, atomic-powered, luxury super-Greyhound setting off on its first transcontinental run with a garish cross section of humankind programmed for redemption, retribution, or just sublime ridiculousness as they roll toward Doom--or Denver, whichever comes first. Writers Fred Freeman and Lawrence J. Cohen, who penned the daffy historical spoof Start the Revolution Without Me (1970), twist the sententious ironies of disaster-movie dialogue into pretzels (priceless scene: Richard B. Shull, as a "terminal traveler" with six months to live, and Bob Dishy, a discredited veterinarian who fitted a rabbit for an IUD, debating who knows more about bitterness). James Frawley's direction is drolly cliche-savvy, but his touch proved too delicate for 1976 audiences; it remained for Airplane! to grab the disaster-spoof brass ring four years later. Still, it's not too late to climb aboard.